Thanks! I think a lot of the posts are cocktails, but yes we do have lots of infusions! I’m straining a bunch of them this weekend and realizing I’m a bit overwhelmed with how many we have right now. Luckily the holidays are near and we can gift a lot of it. I am also planning on attending a food swap so I can exchange some of it there too. This looks really interesting! Looking forward to trying this. 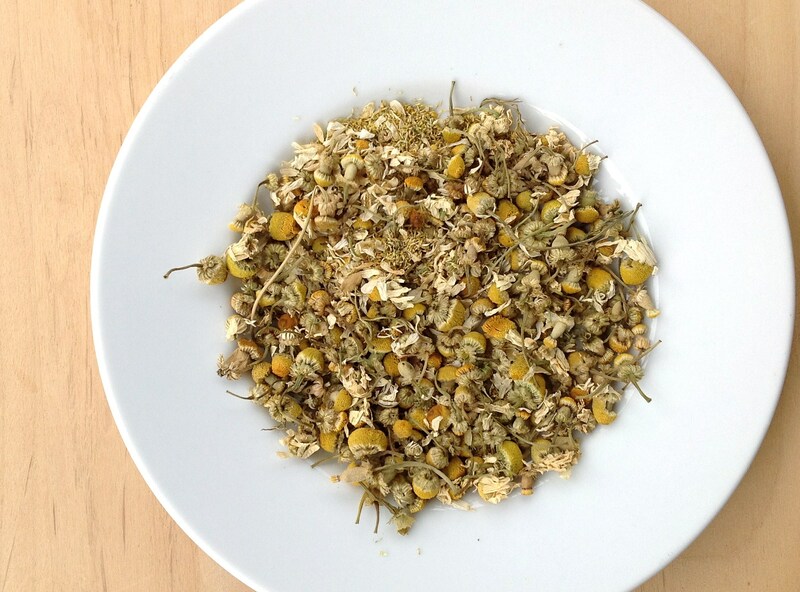 Where do you typically find dried chamomile flowers? I think I just picked these up in the at the grocery store near the Latin foods. You could also try any of the Latin markets or Asian markets, they tend to have a good herb section. My local Homebrew store (http://homebrewexchange.net/catalog/brewing-ingredients/herbs-spices) carries lots of great spices, and sells them online. This is where I have got a lot of dried flowers and berries, etc. if all else fails, you can try Amazon or just use some chamomile tea. Hope you try it, sounds like you are going to be a busy infuser this winter with all the other ones you have going! Hi Kenley, you can substitute chamomile tea, I just looked at the ingredients and mine was simply “dried chamomile flowers” so it should yield the same result. But if you haven’t checked out your local homebrew store, you should see what they have in there. It can open up some new ideas for you, and they may have some other fun bottles, etc. that you might want for all of your infusions. Cheers! Thanks for the tip! And yeah, we are already big fans of Austin Home Brew, our local spot. My husband is going to be starting to brew beer soon so we’ve been picking up supplies. Exactly…… Happy Sunday to you Kelli! Thanks Anne, yes this is a fun change to an old classic. Such a pretty colour and very do-able if chaomile tea can be substituted for the flowers. Yes, you can absolutely substitute chamomile tea – I just checked my chamomile tea, and the only ingredient was dried chamomile flowers. So you should get the same result! Cheers! Congrats on your 100th post! You have totally inspired me — I have 3 infusions going on right now. The chamomile bourbon looks lovely, and I bet it tastes just as good as it sounds. Thanks Lauren, this one does seem like something you would like. I know you are a bourbon fan! 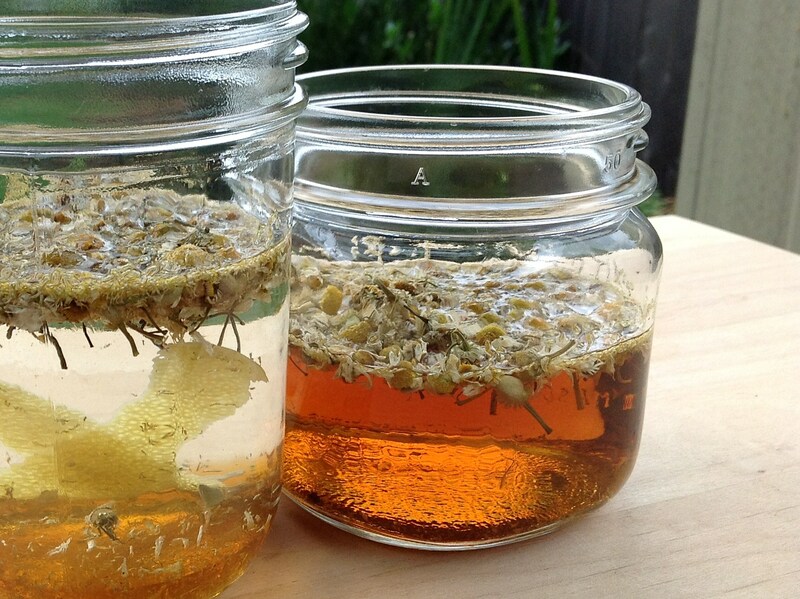 What are you infusing? They make great gifts and the holidays are quickly approaching! 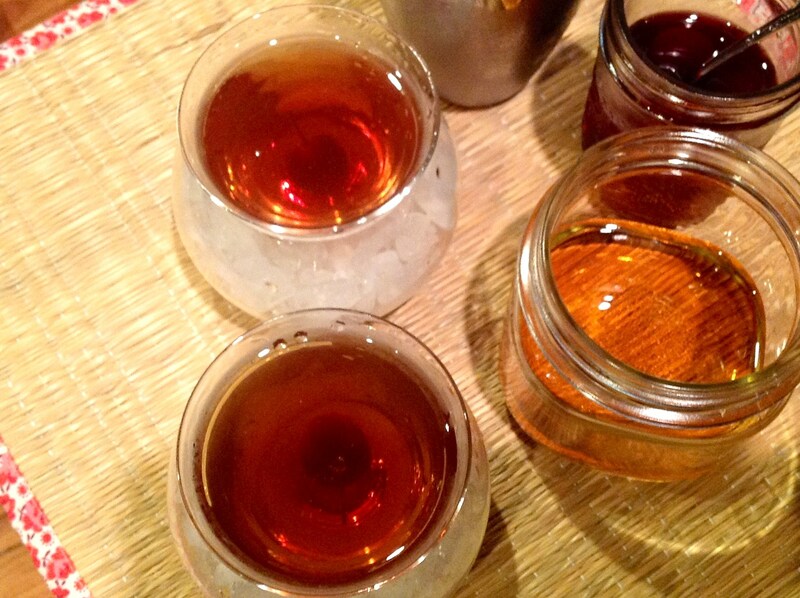 Nothing too exciting — vanilla vodka, ginger liqueur (which I am stoked about) and more coffee bourbon. Best. Thing. Ever. Congratulations on 100! That’s quite an achievement. 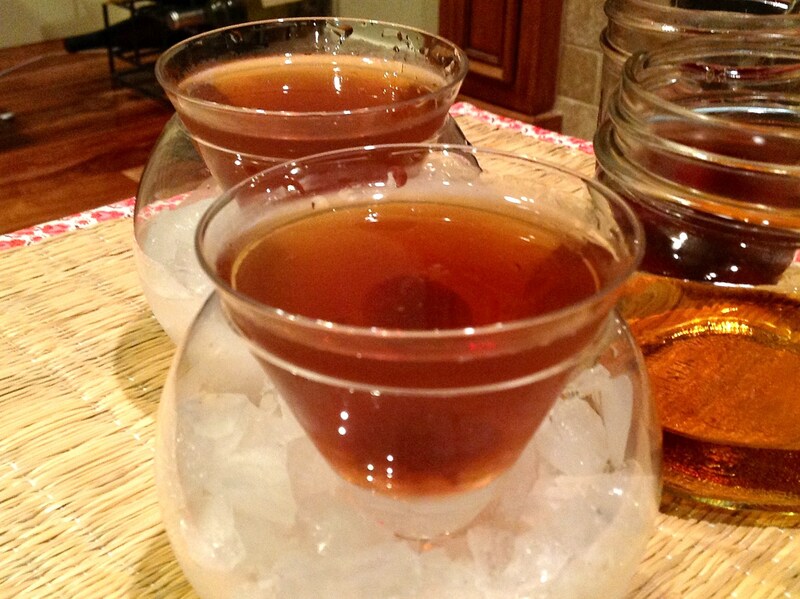 The chamomile Manhattan looks delicious too. This infusion sounds really interesting! And I just so happen to have a container of bulk chamomile hanging out in the tea cabinet. 🙂 I bet this would be especially good in a hot toddy-style concoction. Thanks Een, the hot toddy does sound good… It is cold here so it sounds particularly good right now! It is a very quick and tasty infusion, and definitely seems like something you would enjoy!